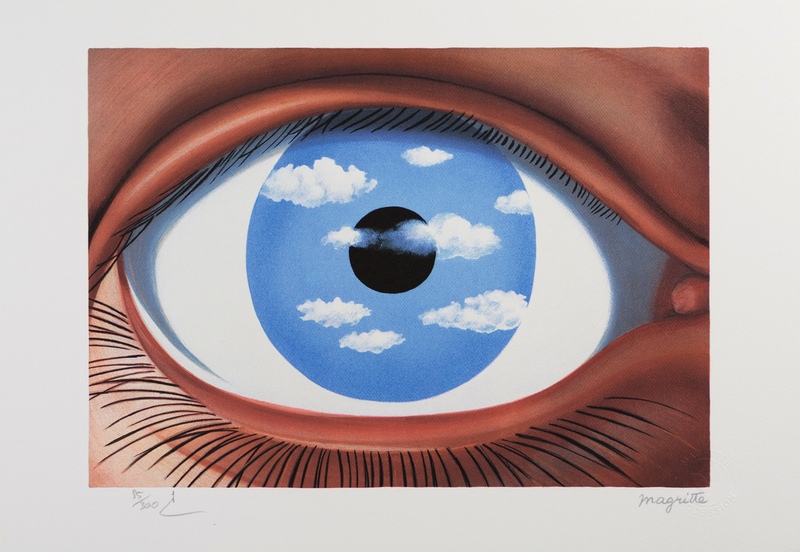 Rene Magritte, Le Faux Miroir is a lithograph made circa 2002 through 2010. 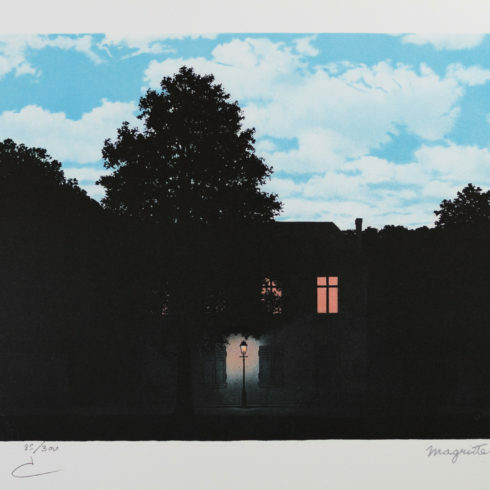 This print is made by the estate after the original painting. 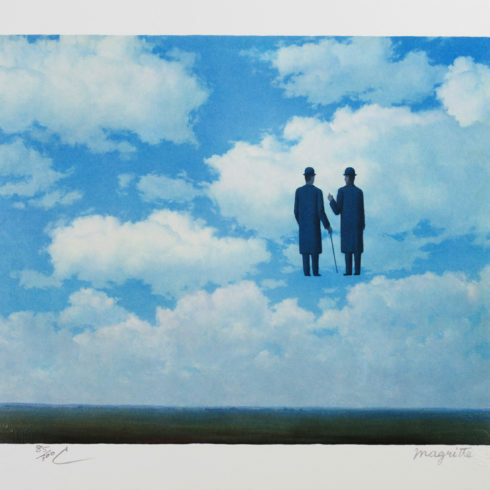 This print is is numbered, features the dry stamps of the ADAG and the Magritte Succession and is countersigned in pencil by Mr. Charly Herscovici. 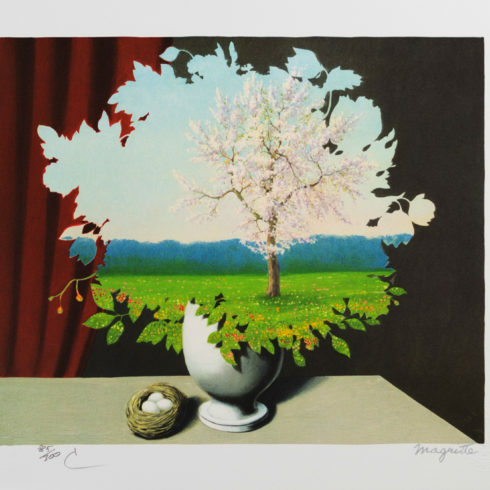 A proof edition is printed on the back of the lithograph, guaranteeing its authenticity. 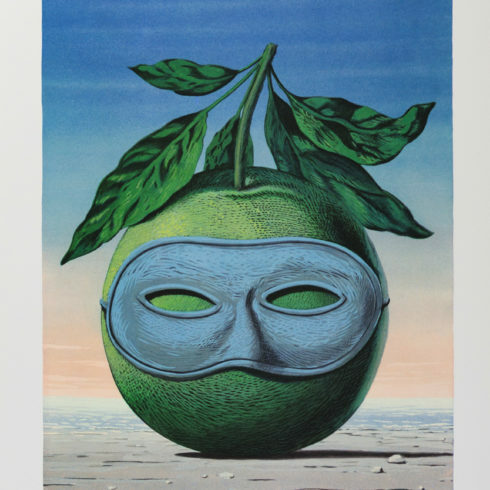 This lithograph is authorized, supervised and validated by the ADAGP (Society of Authors in the Graphic and Plastic Arts) and by Mr. Charly Herscovici, President of the Magritte Foundation, Chairman of the Magritte Museum and unique representative of the Magritte Succession. Rene Magritte was an internationally acclaimed surrealist artist of all time, yet it was not until his 50s, when he was finally able to reach some form of fame and recognition for his work. 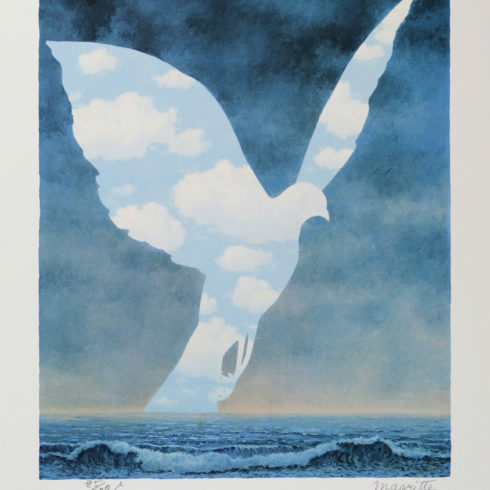 The illustrative quality of Magritte’s pictures often results in a powerful paradox: images that are beautiful in their clarity and simplicity, but which also provoke unsettling thoughts. 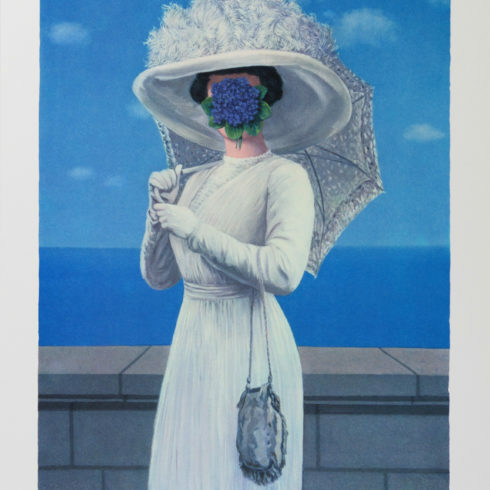 Magritte was fascinated by the interactions of textual and visual signs, and some of his most famous pictures employ both words and images. While those pictures often share the air of mystery that characterizes much of his Surrealist work, they often seem motivated more by a spirit of rational enquiry – and wonder – at the misunderstandings that can lurk in language. 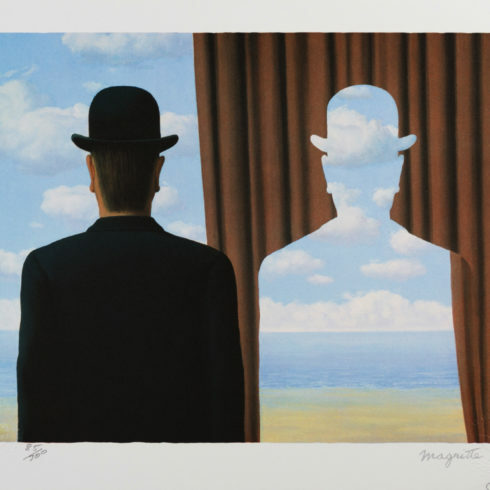 The men in bowler hats that often appear in Magritte’s pictures can be interpreted as self-portraits. Portrayals of the artist’s wife, Georgette, are also common in his work, as are glimpses of the couple’s modest Brussels apartment. 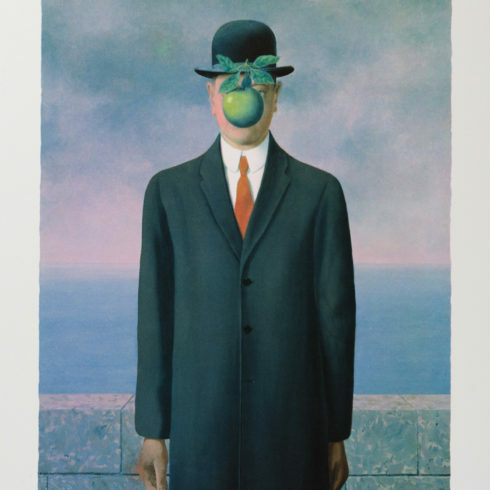 Although this might suggest autobiographical content in Magritte’s pictures, it more likely points to the commonplace sources of his inspiration. It is as if he believed that we need not look far for the mysterious, since it lurks everywhere in the most conventional of lives.